Rob Barff - On a Double! 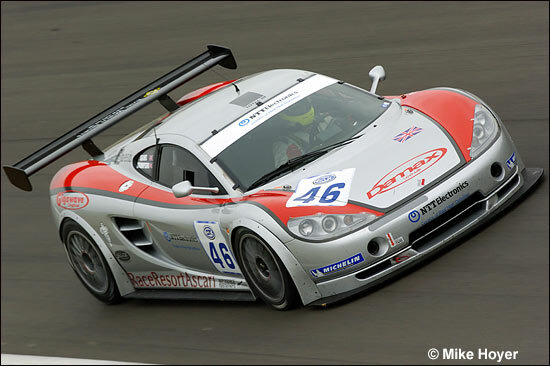 Rob Barff makes one of his periodic forays back into sportsacr racing this weekend, with an appearance alongside Richard Stanton in one of the pair of Damax Ascari KZ1Rs due to contest the pair of one hour races at Snetterton's Ascari Summer Festival. "Richard called me a few days ago and asked whether I was available - it took my usual three nanoseconds to reply! 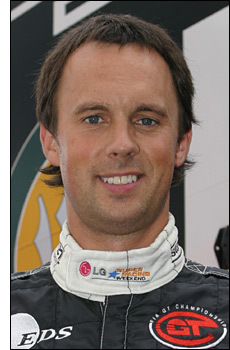 I'm looking forward to seeing how the GT3 cars stack up to the other two classes, I like a chase," commented Barff. In other Barff-related news, the Le Mans Classic last weekend saw him post his first ever Le Mans race finish. "Yeah, and happily it was a win! We won the 1957-61 race in a Porsche 550A which I raced with Fergus Macleod and Geoff Turral." Although... our man on the spot suggests that Rob actually shared the Index of Performance-winning Porsche 550A 1500RS. It wasn't actually the race-winner, or even the winner of a round. These drivers! So could it be two wins in two weekends (in German-engined cars) for Barff? There will be around 100 dsc readers, friends and families to find out, thanks to the generosity of Ascari, Damax and MSV. Here's one of the Ascaris testing at Snetterton last week.